For a professional athlete, the only thing that could possibly be worse than getting labeled a quitter, is being dubbed a choker. 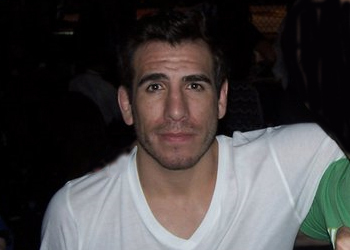 UFC president Dana White tagged Kenny Florian (Pictured) with the moniker after his choke job in a lightweight top contender bout against Gray Maynard in August 2010. White has never been one to mince words, and the brash promoter certainly wasn’t about to offer up any apologies for his blunt comments just days before Florian challenges Jose Aldo for his featherweight crown, either. “Jose Aldo is a finisher,” White stated during Wednesday’s UFC 136 pre-fight press conference. “He comes in to either take your legs out or knock you out. He’s 100 percent the whole time he’s in there, and so is Kenny Florian. Maynard collected a lopsided unanimous decision win that night, which prompted Florian to drop to the featherweight class. In addition to the egg he laid in the championship eliminator fight with Maynard, Florian is also 0-2 in UFC lightweight title bouts and lost in the finals of “The Ultimate Fighter 1” to Diego Sanchez.